The western island province is set to become three separate entities. Most of the renowned tourist destinations, such as Coron, pictured, and El Nido will fall into Palawan del Norte following the changes. President Duterte has signed a law dividing the popular tourist destination of Palawan into three distinct and independent provinces. Under Republic Act 11259, the province is now divided into Palawan del Norte, Palawan Oriental and Palawan del Sur, the last of these will be the “mother province”. “The terrestrial jurisdictions of the newly created provinces shall be within the present metes and bounds of all the municipalities that comprise the respective provinces,” the law stated today (Saturday, April 13). The president officially approved the measure last week and it will take effect 15 days after it is published in the Official Gazette or in a newspaper of “general and local circulation”. The creation of the new provinces will require a plebiscite to be held on the second Monday of May 2020, which will supervised by the Commission on Elections. ALSO READ: Palawan, the world's best island destination? Two years after this, an election will be held for new officials in the administration of the provinces. By this time, each newly-created province will have its own provincial governor, vice governor, Sangguniang Panlalawigan secretary and members, provincial administrator, provincial treasurer and other provincial government officers. 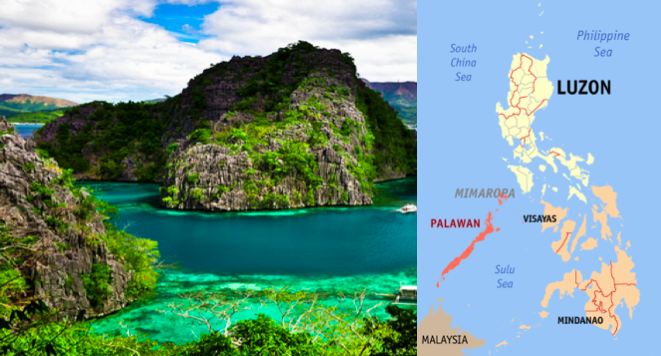 One of the law’s authors, Palawan Third District Representative Gil Acosta, has previously said that the division of Palawan would be advantageous as it will bring government services closer to the people. OMG, that would be at least 2 more people that will become multi-millionaires once their term is up. And of course, those multimillions won’t be enough so they would run again for reelection and on and on and on. Oh, you know what I am talking about.